Community Cases at Castleford Museum01977722760work MuseumCastleford Forum Museum has four special display cases designed to enable community groups and individuals to curate their own displays. Current displays include beauty, Victorian women’s jobs, Queens Mill and Castleford Tigers. 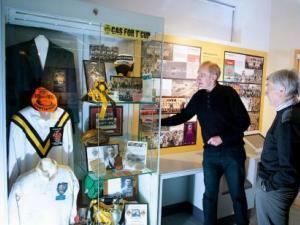 Castleford Forum Museum has four special display cases designed to enable community groups and individuals to curate their own displays.